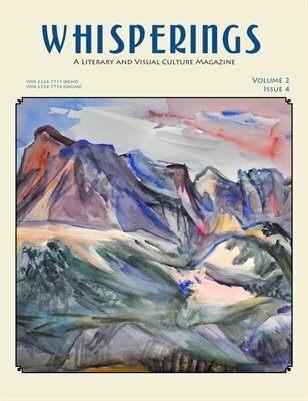 Read Whisperings magazine at the library. For library locations visit our Reader | Viewer webpage. Adventure … Rocky Mountain’s 3,100 miles Continental Divide Trail—"Continental Divide Trek—Series 3" by Kit Mitchell and Jacob Gallagher. This issue's contributors . . . Artist — Jane Culp, Jacob Gallagher, Jacob Gallagher, Alexander Kafka, CJ Nye, Imre de Pozsgay, Pat St. Pierre and Bruce Wolfenbarger. Writers — Danny P. Barbare, Terry Barr, Thomas Cooney, Christine Cortese, R.S. Fox, R.D. Hartwell, Anu Lal, Kit Mitchell and Devin terSteeg.